Jallikattu is a bull taming event practiced in Tamil Nadu as a part of Pongal celebrations. Jallikattu is recently in news because of the Supreme Court rulings, Government interventions and agitations from the public against the Jallikattu ban. In this post, let’s analyze, Jallikattu and other important issues associated with it in detail. Jallikattu is a sport conducted as a part of Mattu Pongal (the 3rd day of the four-day long harvest, Pongal). Jallikattu is also known as eru thazhuvuthal or manju virattu. The Tamil word ‘Mattu’ means bull and the 3rd day of Pongal is dedicated to cattle. Bulls get precedence over cows because it helps in the ploughing of field, pulling their cart of goods and mating with cows to produce more offspring and in turn more production of milk. Bulls are brought to a common place where the ritual happens. The participants are supposed to embrace the bull’s hump and try to tame it by bringing the bull to a stop. Jallikattu is derived from the words ‘calli’ (coins) and ‘kattu’ (tie), which means a bundle of coins is tied to the bull’s horns. In older times, the tamer sought to remove this bundle from the animal’s head to win gold or silver. He would be called ‘brave’ and ‘valourous’ and would also sometimes be rewarded with a bride. What is the history of Jallikattu? Jalikattu is believed to have been practiced since at least 2500 years. A seal from Indus Valley civilization depicting the practice is preserved in the National Museum, New Delhi. A cave painting that depicts a man trying to tame a bull is estimated to be 2500 years old by the Archaeologists. There are references to people enjoying witnessing and participating in Jalikattu in Silappatikaram one of the 5 great epics of Tamil classical period and 2 other ancient literary works like Kalithogai and Malaipadukadaam. Why PETA and other animal rights activists want to ban Jallikattu? Bulls are deliberately placed in a terrifying situation in which they are forced to run away from a mob of men. The bulls are so frightened that in desperation they jump off barriers which result in fatal injuries. The participants and spectators are also at risk. Bulls are often provoked with alcohol, sticks, knives, sickles and even chilli powder in the eyes. Betting on the bulls is another problem. In 1991, the Environment Ministry had banned the training and exhibition of bears, monkeys, tigers, panthers and dogs. This was challenged by the Indian Circus organisation in the Delhi High Court but the court upheld the notification. The ban on Jallikattu itself has existed on and off since 2006. In 2006, the Madras High Court banned it after the death of a young spectator. 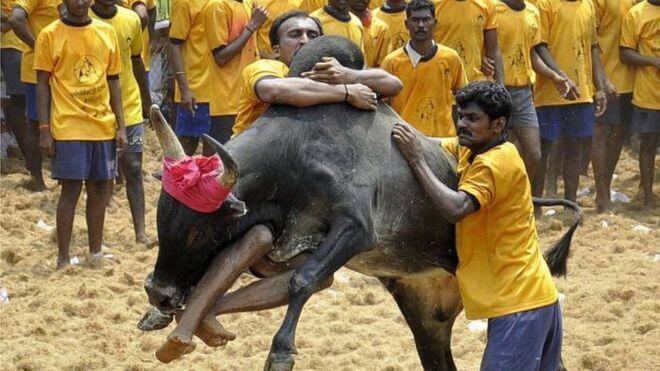 In 2009, the ban was subsequently lifted with the Tamil Nadu Regulation of Jallikattu Act, 2009. In 2011, the Environment Ministry at the Center issued a notification especially mentioning ‘bulls’. But even after the 2011 notice, the Jallikattu practice continued to be held because under the Tamil Nadu Regulation Act No. 27 of 2009. After it was found that the regulations were not being followed and that bulls were indeed being subjected to cruelty as defined under the Prevention of Cruelty to Animals Act, 1960, the Animal Welfare Board of India (AWBI) and People for the Ethical Treatment of Animals (PETA) filed a petition. 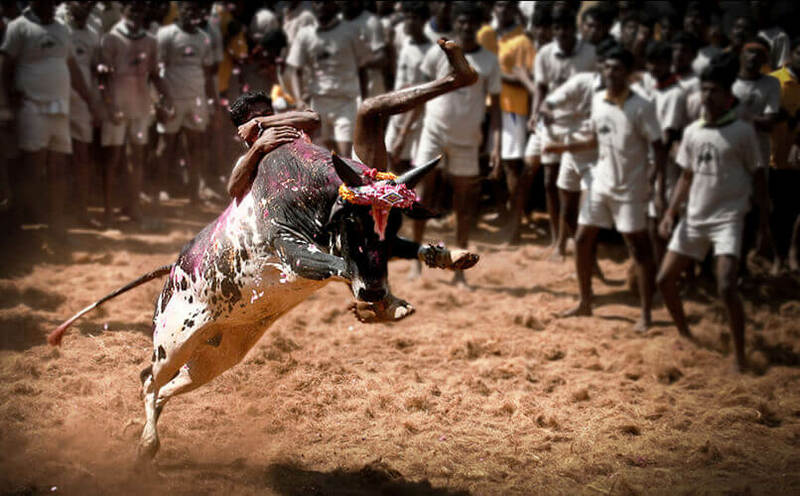 In 2014, the Supreme Court banned Jallikattu and struck down the 2009 act. In January 2016, in what could be seen as a clearly political move, the union environment ministry revoked the ban by issuing a notification months before the elections in Tamil Nadu were due to be held. In January 2016, Supreme Court stayed this 2016 Union Government notification, as it was challenged by the AWBI and PETA. The case is still being heard and so far the Court has not delivered its final verdict. On 8 January 2017, several hundreds of protesters conducted a rally at Chennai Marina opposing the ban on Jallikattu. The participants walked from the lighthouse to the labour statue bearing posters saying ‘save Jallikattu’. Following the protests at Chennai, many students started rallies in various towns of Tamil Nadu. Numerous illegal Jallikattu events were held across Tamil Nadu in protest of the ban, and hundreds of participants were detained by police in response. Due to these protests, on 21 January 2017, the Governor of Tamil Nadu issued a new ordinance that authorized the continuation of jallikattu events. The ordinance is a ‘State amendment’ to the Central Act – Prevention of Cruelty to Animals Act (1960). This means that in its application to Tamil Nadu, some provisions will be different from what they are for the rest of the country. PCA falls under Entry 17 (Prevention of Cruelty to Animals) in the Concurrent List of the Constitution. This means both the Centre and the States have concurrent power to enact laws on the subject. On 23 January 2017, the Tamil Nadu legislature passed a bi-partisan bill, with the accent of Indian President, exempting jallikattu from the Prevention of Cruelty to Animals Act (1960). But Prevention of Cruelty to Animals (Tamil Nadu Amendment) Act of 2017 is not much different from the state law overturned by Supreme Court in 2009. Jallikattu is a way through which farmers flaunt their personal strength, the strength of their bulls, love for their cattle and how well they have looked after them and a chance to find out the most potent bull to mate their cows. For a Tamilian, the bull is a member of the family and to establish their identity as a hardworking, self-sufficient and powerful Tamilian. The supporters of jallikattu argue that on the basis of these rare issues the Supreme Court cannot ban 2500 years old tradition. If the sport is banned, farmers will be forced to abandon the raising of native livestock (Bos indicus bull, such as the Pulikulam breed or Kangayam breed) which already stands threatened due to the extensive use of motor pumps, tractors, and mechanized agriculture. What are the recent policies of India on Animal Advocacy? The National Green Tribunal placed an interim ban on glass-coated kite flying strings after a petition by PETA because it causes the death of many birds. The ban came just before Makar Sankranti. In December 2016, the Hyderabad High Court upheld the ban on cockfighting in Andhra Pradesh and Telangana, after a petition was filed by the AWBI, HSI India (Humane Society International), PFA, and other organisations. 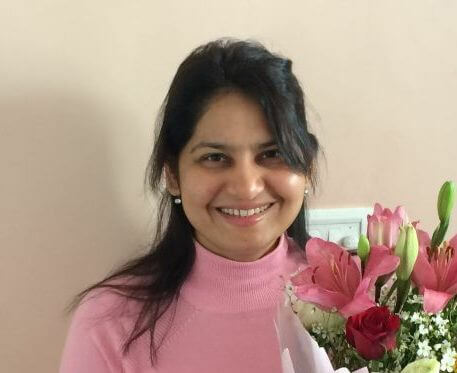 In 2016, an amendment to the Schedule Y of the Drugs and Cosmetic Rules, 1945, was passed by the Ministry of Health and Family Welfare, following appeals by PETA India, HSI India (Humane Society International), and the Union Minister Maneka Gandhi. The amendment prevents testing on animals for new drug including two cruel and obsolete drug tests on rabbits, including the Draize irritation test. In 2016, HSI India and People for Animals urged the Director General of Foreign Trade to take cognisance of animal welfare concerns related to the shipping and import of dogs that are not suitable to India’s tropical climate, including Siberian huskies, St Bernard’s, and Alaskan malamutes.They are often left out by the owners because they do not have a proper understanding of the breed’s requirements. The Gujarat High court banned the caging of birds in Dadra and Nagar Haveli after an appeal was filed by PETA India, as it is the fundamental right of the bird to live freely in the open sky. If the birds are kept caged it will amount to illegal confinement. Following efforts by PETA India, new veterinary education regulations will eliminate the killings of calves. 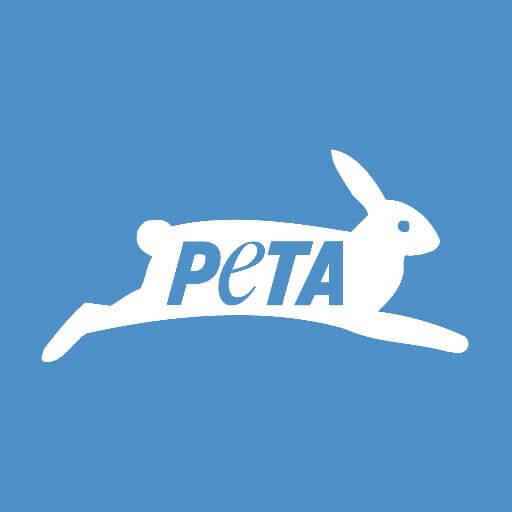 According to PETA, almost 1,000 calves are killed annually in India to teach veterinary anatomy and surgery to medical students, along with thousands of frogs, rats, guinea pigs, and rabbits. The regulations will include computer simulation, the setting up of an ethically-sourced body-donation programme and other humane teaching methods. The legal situation surrounding jallikattu is as yet not clearly resolved. Prevention of Cruelty to Animals (Tamil Nadu Amendment) Act of 2017 is not much different from the state law overturned by Supreme Court in 2009. For the Supreme Court, the question of interim stay on Tamil Nadu’s Jallikattu Amendment Act is still open. The matter will only be truly resolved if the Prevention of Cruelty to Animals Act (PCA) is amended by the Parliament. 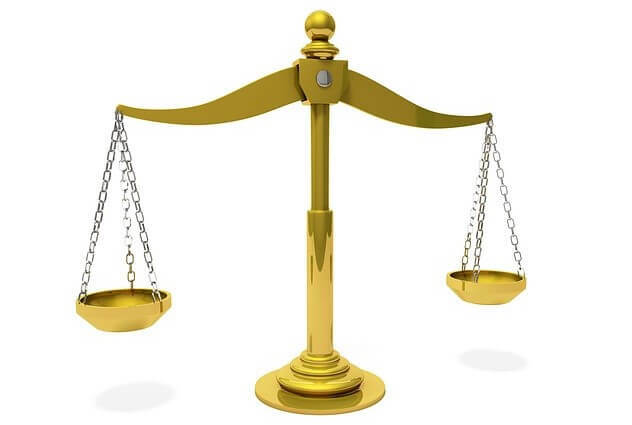 State ordinances and state laws cannot overrule an Indian federal law. Again, if Jallikattu is a part of Tamil culture, it has to be conducted with protection to animals and human beings. It should be regulated by an authority. Age old traditions and cultures need to be revisited if they are in violation of the laws of the land. Thank you for support.A great current topic share by clearias. Thanks to CLEARIAS which provides clear, in-depth and relevant information on issues that anyone can easily understand the subject. 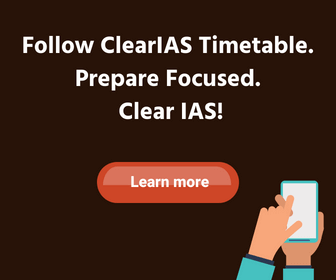 Thank you veryy much clear ias team…veryyy helpful sitee for all.. I greatly thanks to you for this that much of information about jallikattu.